The outdoor swimming pool at The St. Regis Mumbai, overlooking the cityscape, is the piece de resistance of the wellness floor. With a lounge area, a deck with private cabanas and a pool bar, it is a haven for calm and repose on a lazy afternoon or even for an easy sundowners. Four Seasons Hotel Mumbai's outdoor swimming pool, set amidst lush landscaping, offers a serene respite from the city. Guests can also unwind on chaises longues beside the relaxation pool near the open-air pool deck, where light snacks and beverages are served. For added convenience, the pool is equipped with telephones and wireless Internet access. 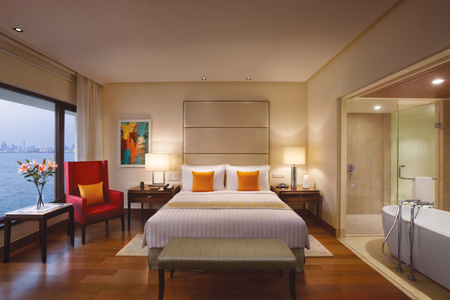 The Lalit Mumbai is located in the nerve centre of the fastest developing business hub, Andheri, in Mumbai. But you'd know from this relaxing scene. Question: We’re planning a trip to Mumbai, India for December 26th – January 1st, 2013. What hotels have availability and how far are they from the Chhatrapati Shivaji International Airport? Answer: We have nine 5-star hotels and three 4-star hotels in Mumbai, of which 10 are currently showing availability for your dates of travel. To compare their rates and view hotel photos, simply visit this website, click on the ‘Find a Hotel’ tab, select ‘Asia’ as the region, ‘India’ as the country, and ‘Mumbai’ as the city. Below this put in your dates, and then click ‘Go’. This will pull up all of the hotels on our site and show you the starting, lowest rate at each hotel. To view room descriptions and room types, click the ‘Available’ box for the specific hotel. To view photos and hotel descriptions, click on the hotel name link. Once you choose a hotel and specific room type, select that option and fill in the booking form. Your reservation is automatically confirmed with the hotel, and you receive a confirmation email. To view the location of the hotel, simply click the hotel name and then the ‘Location & Map’ tab to view where the property is located. Please be advised that all rates are based on double occupancy and extra person charges for more than two people in a room may apply. Please also be advised that certain rooms have a maximum occupancy of two. Rates and availability are subject to change prior to making a reservation. You heard that right. MGM Hospitality is developing Bellagio, MGM Grand, and Skylofts hotels in Mumbai, India. They'll be located in the Maker Maxity mixed-use development complex in Bandra-Kurla Complex. As quoted in the official press release, the CEO of MGM Hospitality, Gamal Aziz, wants to blend Mumbai's culture and personality into the architecture and style of the properties. "The proximity to Bollywood and the affluent Bandra neighborhood provides a perfect setting for the confluence of energy, indulgence and luxury that the Bellagio, MGM Grand and Skylofts hotels will bring to the destination." They're promising all kinds of goodies for the international business traveler, along with world-class nightlife, restaurants, meeting venues, and entertainment. But what's the word on gambling? Will there be a Vegas-style casino for Mumbai's highrollers? 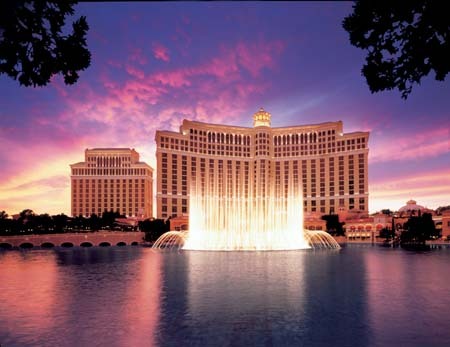 Pictured: The Bellagio in Las Vegas.